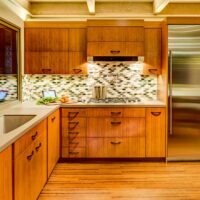 This full Design Build eclectic kitchen remodel was designed to fully maximize the small kitchen area that was existing in the original space. 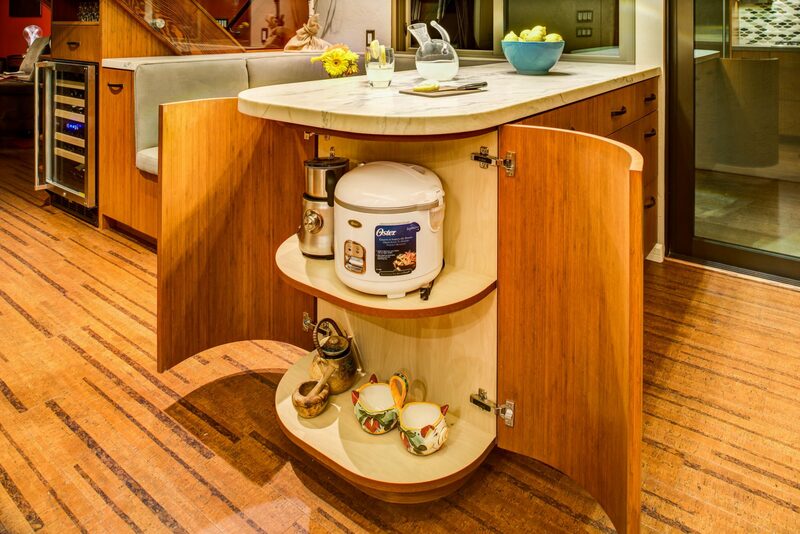 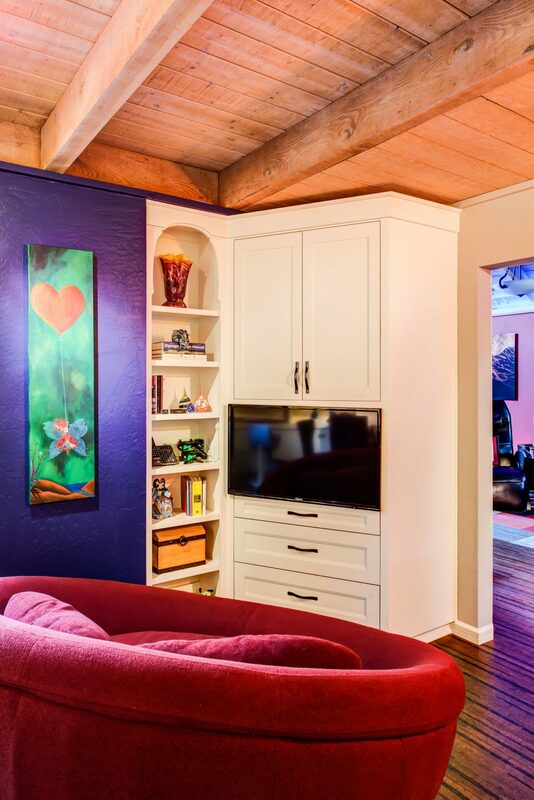 It was important for the homeowners to utilize every inch of usable space for storage, function and entertaining. 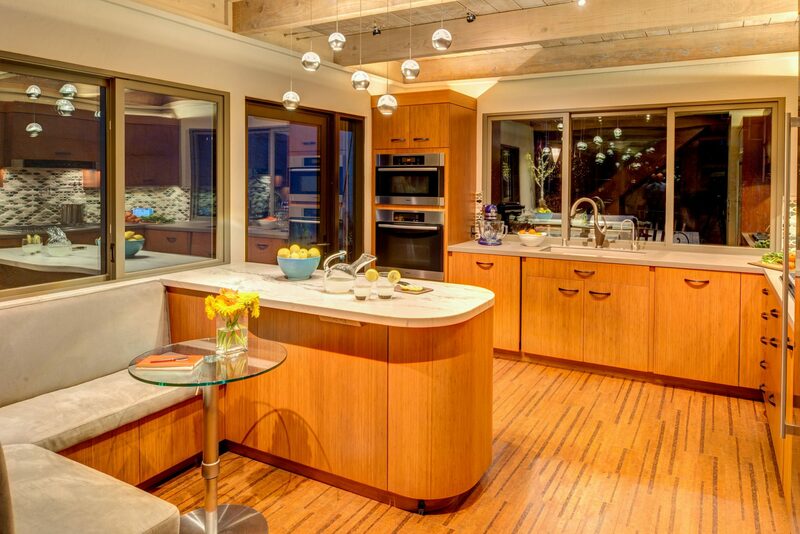 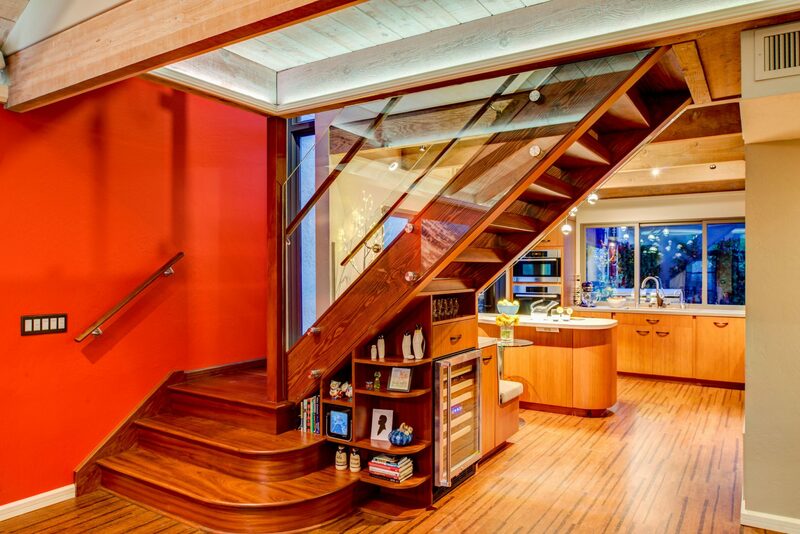 A large wooden staircase obstructed the view of the compact kitchen and made the space feel tight and restricted. 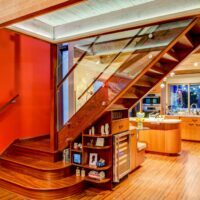 The Gilmans Design Build crew converted the heavy wooden staircase into a glass staircase and larger windows were installed to give the space a more spacious look and feel. 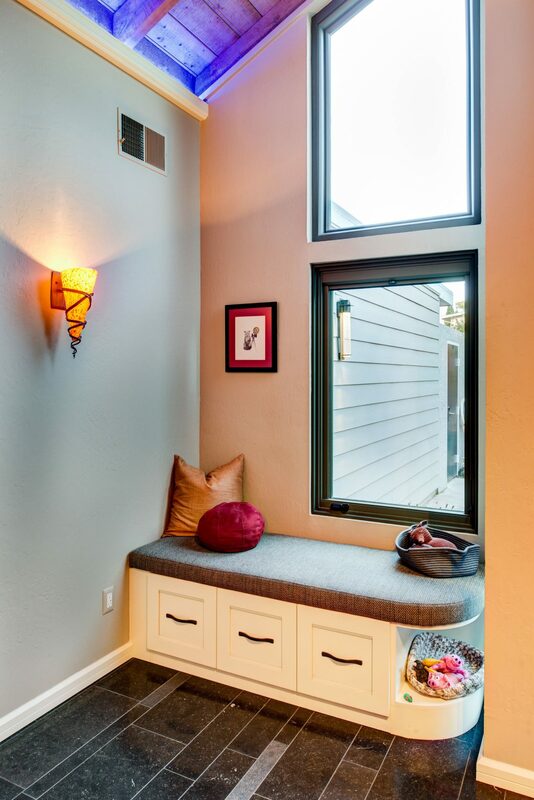 A small banquette was also designed into the space to allow for more seating, dining, countertop space and storage. 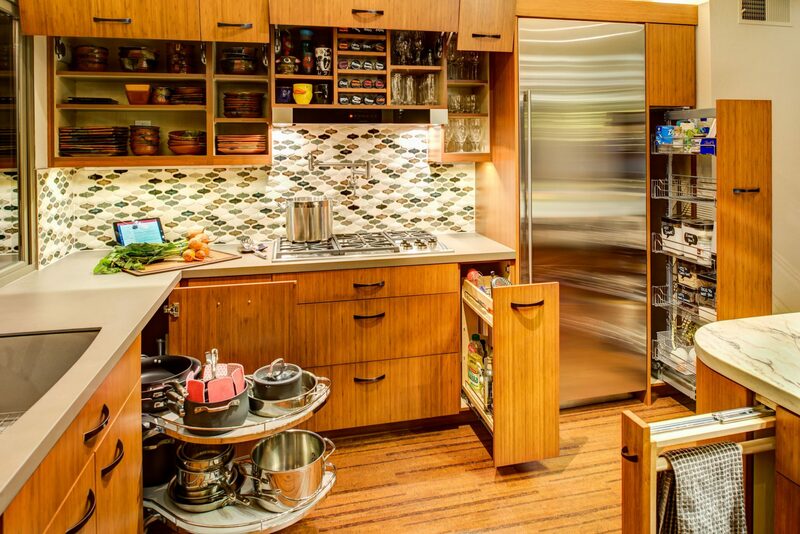 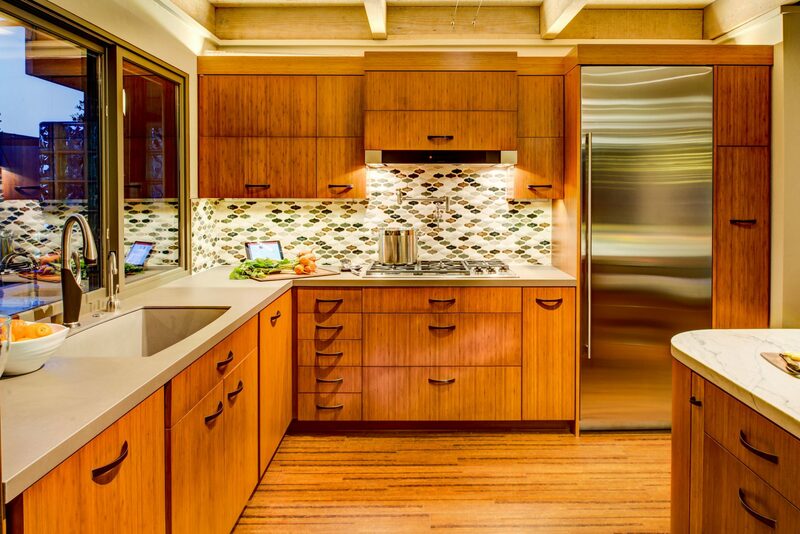 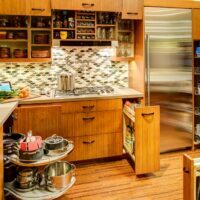 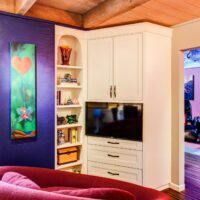 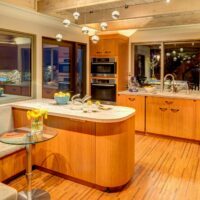 The custom kitchen cabinets chosen were stained bamboo, combined with bamboo flooring in the kitchen area, while white painted cabinets were used for the entry area and in the game room. 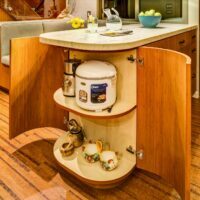 A variety of organizational inserts were ordered and also made on site to fully maximize the efficiency of the kitchen. 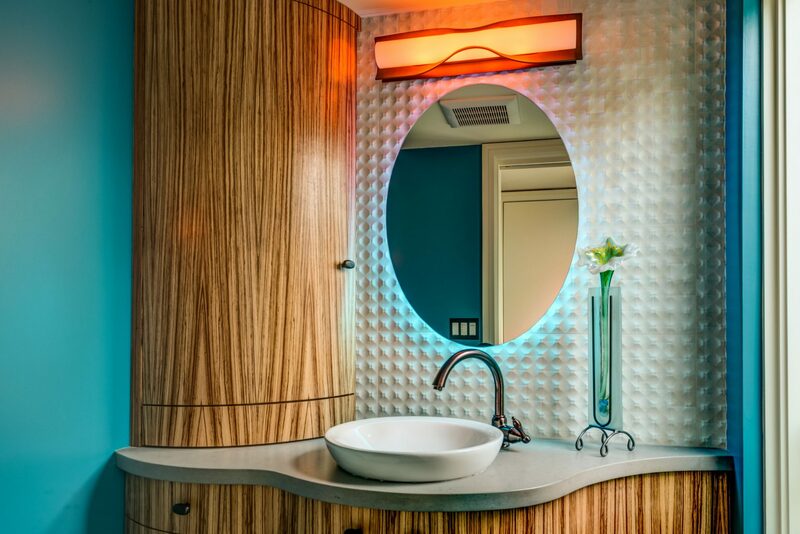 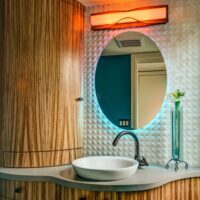 Two different countertop surfaces and a harlequin glass tile were used to add color and the client’s personalities into the space.